Dimensions 2 by 5 by 9 in. Fairy tales; Denmark; Translations into English. Children's stories, Danish; Translations into English. All the best-loved fairy tales of Hans Christian Andersen, including ÃÂThe Ugly Duckling,Ã¢ÂÂ ÃÂThumbelina,Ã¢ÂÂ ÃÂThe Red Shoes,Ã¢ÂÂ ÃÂThe Princess on the Pea,Ã¢ÂÂ and ÃÂThe EmperorÃ¢ÂÂs New Clothes,Ã¢ÂÂ fill the pages of this beautiful leather-bound collectorÃ¢ÂÂs edition. Also included is ÃÂThe Tallow CandleÃ¢ÂÂ ÃÂ one of the earliest stories written by Andersen, just discovered recently! With both short and long anecdotes, this is a great book of bedtime stories or for rainy-day reading. The attached bookmark ribbon ensures readers will never lose their place as they wander through the imagination of one of the most popular childrenÃ¢ÂÂs writers of all time. 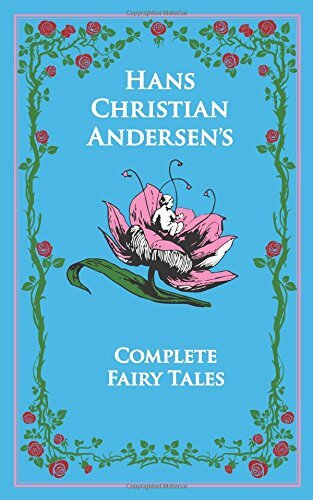 About: All the best-loved fairy tales of Hans Christian Andersen, including ÂThe Ugly Duckling,â ÂThumbelina,â ÂThe Red Shoes,â ÂThe Princess on the Pea,â and ÂThe Emperorâs New Clothes,â fill the pages of this beautiful leather-bound collectorâs edition.